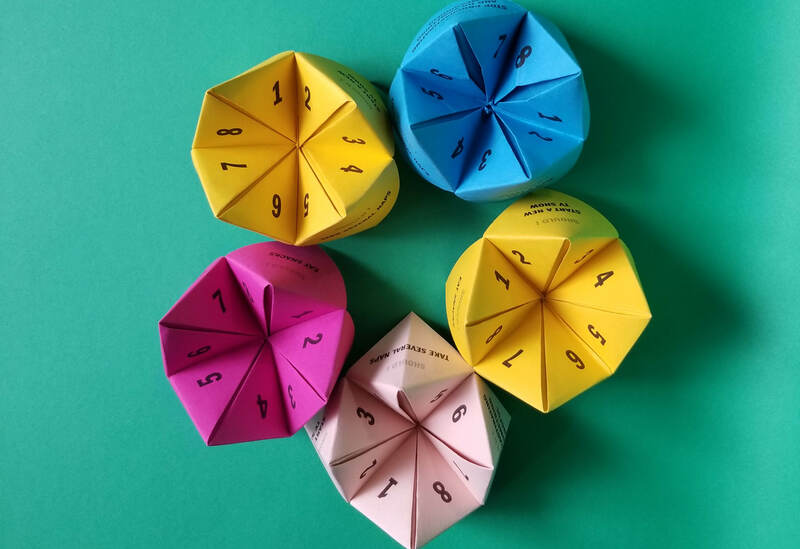 The paper fortune teller, also known as “cootie catcher” or “chatterbox”, is an origami game for children. 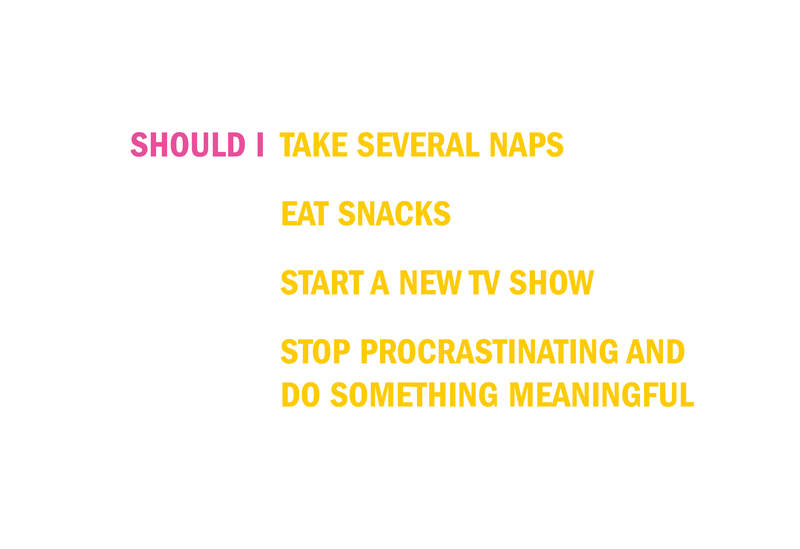 Fortune tellers can be reminiscent of one’s childhood. 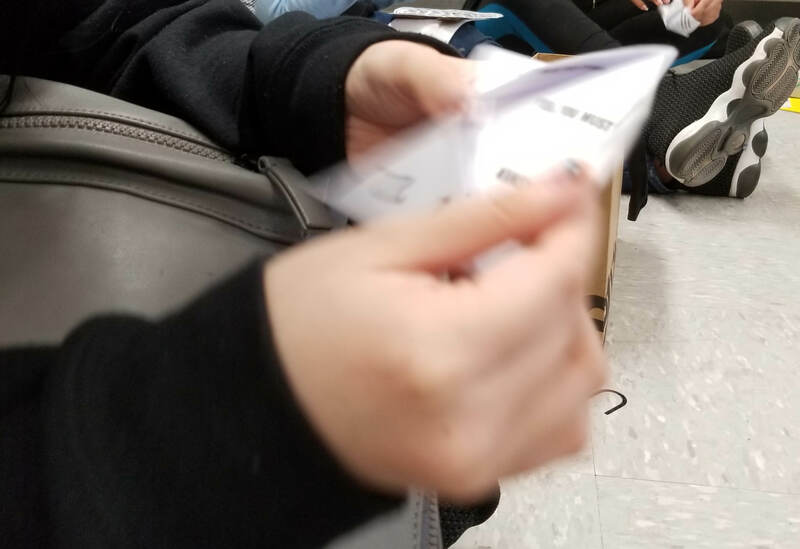 They are often decorated with crayons, markers, and colored pencils and are played with during school hours. 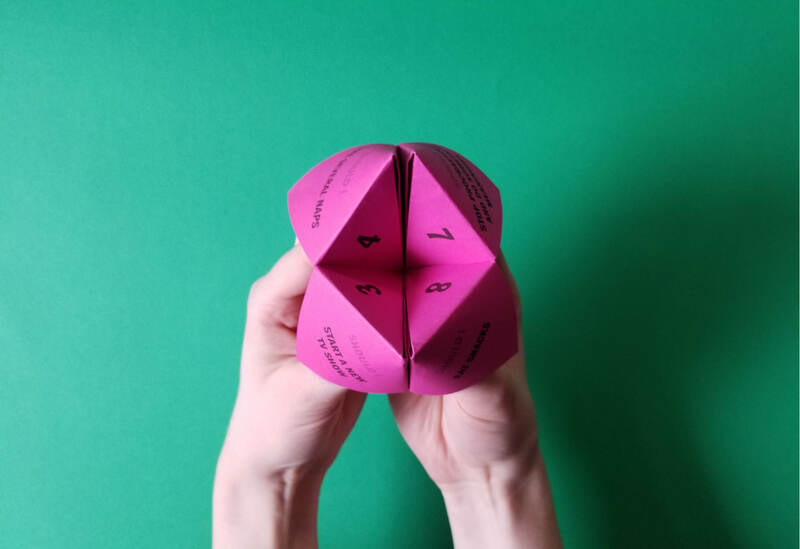 Fortune tellers may spread school gossip or inform one of their future. It may involve one or more players who ask it a question, and are left with an answer at the end of the game. 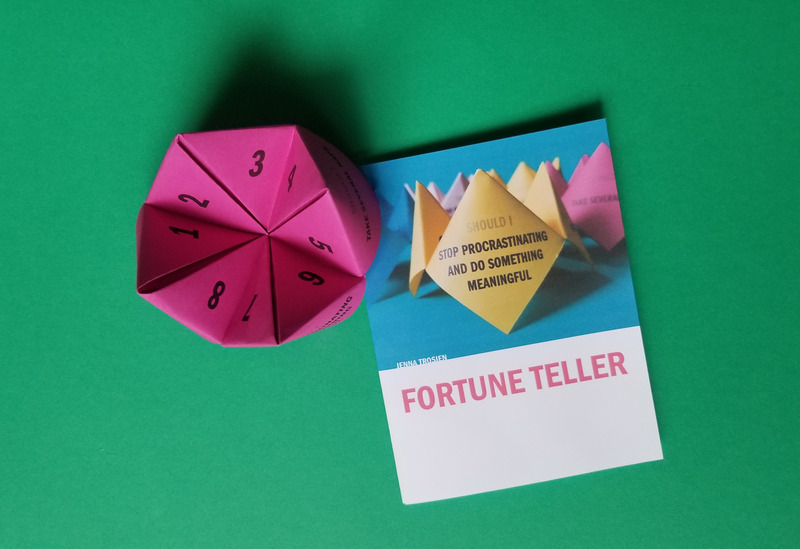 While the four questions you can ask the fortune teller are supposed to promote working efficiently, the nature of the game may obstruct productivity. This is because the answer you choose is partially left up to chance or can be manipulated if played before. The answer revealed can be taken with a grain of salt, or taken seriously. 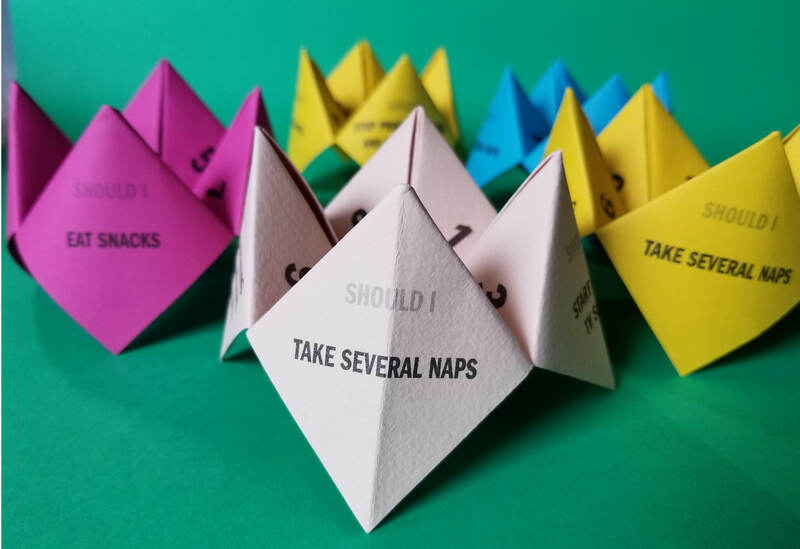 Who knows how seriously we took the valuable information our long-gone fortune tellers gave us, and who knows how we’ll take its advice now. 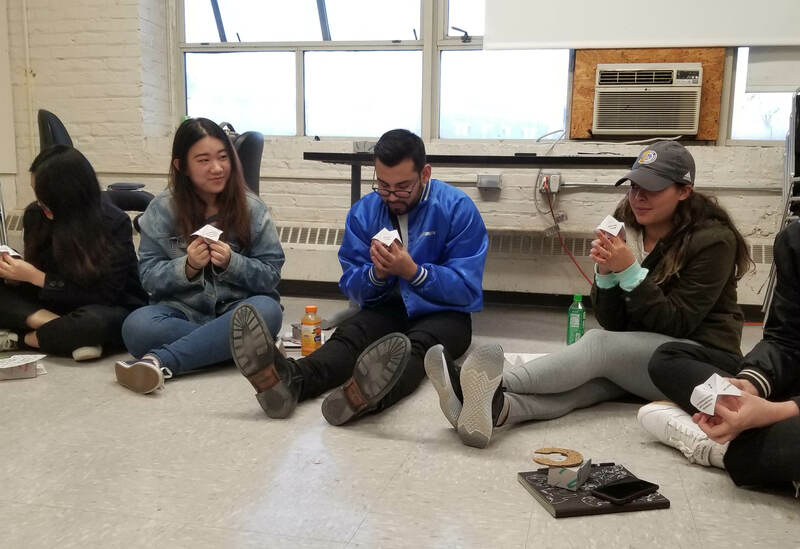 Many of us who have played with or constructed a fortune teller once before, may recognize its magical and all-knowing properties. 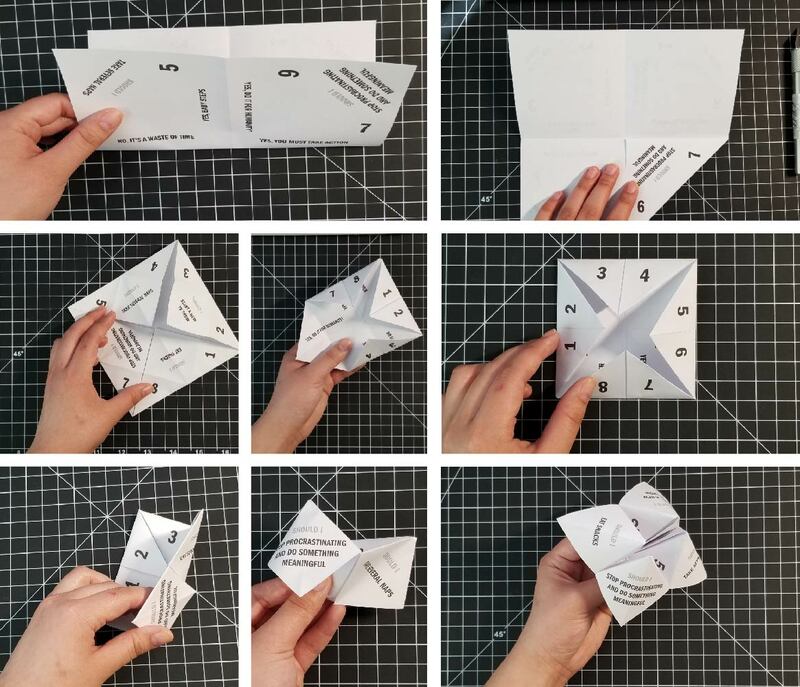 Giving the fortune teller to students and adults who are always on their screens was very fulfilling because I could see that many remembered the paper game from childhood. About half the people remembered how to play, and found it entertaining. I was surprised and happy that so many people had personal connections to the game and found it nostalgic.